Welcome to Yoga with Juliet! I teach alignment based Hatha Yoga from my home studio in South Norwood as well as working with other venues across London. 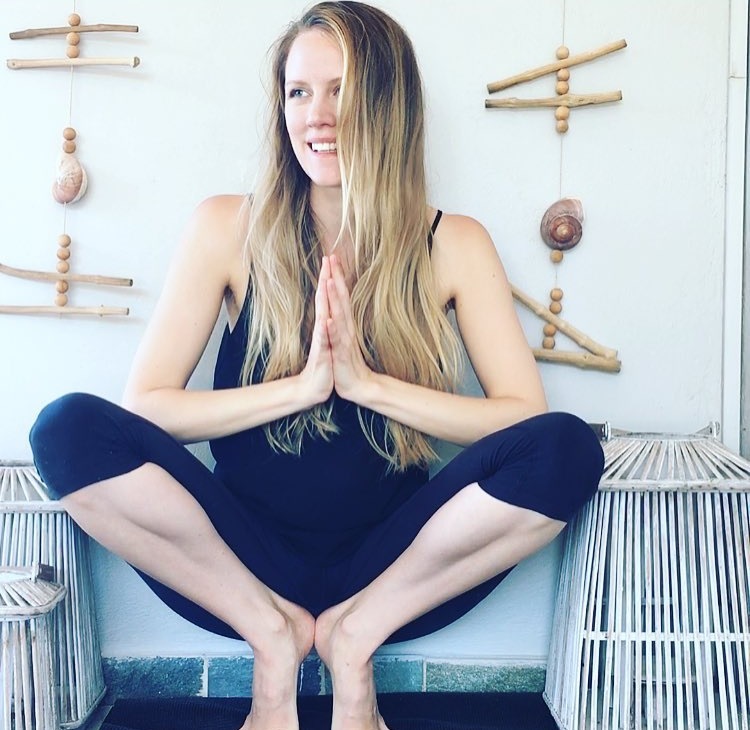 Trained under the highly acclaimed Triyoga teacher training programme with leading teachers Anna Ashby and Joey Miles, I am a member of the British Wheel of Yoga and Yoga Alliance and have been practicing for over a decade. I was first drawn to yoga amidst a challenging time in my life, magnified by a stressful city commute, long hours, and a demanding job all of which resulted in burnout. At that time I began a regular yoga practice and soon found myself experiencing its many therapeutic benefits, I slept better, could breathe better, moved better, and it created the space I needed to understand myself better. Yoga continues to be my anchor, especially since becoming a mother, and these feelings of space, freedom and clarity gained from my practice are qualities which I endeavour to facilitate for my students. I know how hard it can be to find time to stop, move consciously, breathe deeply and reconnect, and I love that in teaching yoga I can help others to find these moments of stillness in their busy lives. I have a special interest in how yoga can be used therapeutically and have furthered my studies to include Restorative Yoga, a system designed to calm and adjust the nervous system, which is often over stimulated in this modern age, and so I weave elements of this into the stronger, more active aspects of my class. In addition to yoga I am also a trained Pilates studio equipment teacher with the Polestar method and work from The Loft in Wandsworth. Pilates has been a wonderful tool in giving me the anatomical understanding of form and function in our bodies. Knowing how the two interlink, relate and affect each other has informed me greatly on my journey.